Ralph Lauren expands on the Automotive collection with five new watches for 2015, drawing inspiration from Ralph Lauren’s own 1938 Bugatti Type 57SC Atlantic Coupe. 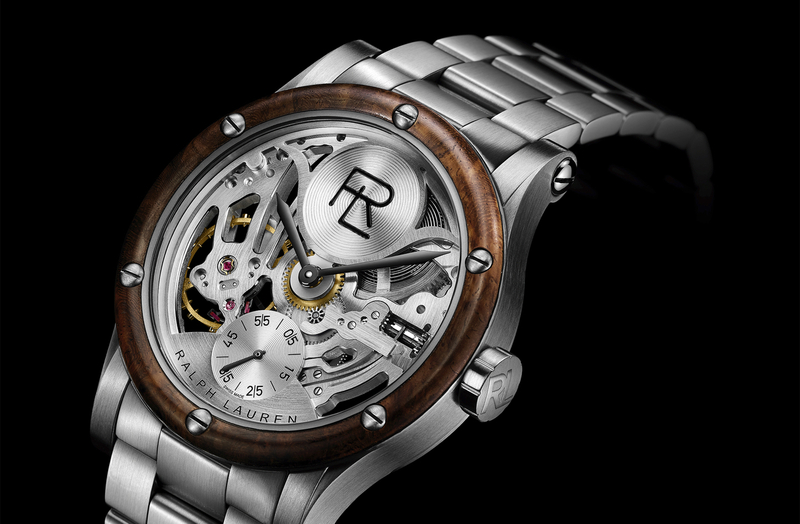 The highlight of the new collection is the RL Automotive Skeleton, the brand’s first open-worked timepiece. I’ve always been inspired by automotive design — the materials, the lines, but also the power and functionality. Cars are like art — moving art — an accomplishment in mechanics and precision. – Ralph LaurenDetails from the automotive world extend throughout the collection. The amboyna burl wood bezels, elm burl wood dials, and black alligator straps are reminiscent of the rich interiors of Mr. Lauren’s Bugatti, and the Arabic numerals emulate those found on the car’s iconic gauges. Each piece in the collection is powered by a Swiss mechanical movement, symbolizing the motor itself and offering precision and superior function. The Ralph Lauren Automotive Skeleton is presented in a case measuring 44.8 mm by 11.2 0mm, powered by a renowned IWC hand-wound mechanical movement that has been customized by Val Fleurier for Ralph Lauren. The bridges of the movement have been blackened to reflect the aesthetics of the watch, and the main plate has been artfully cut away, to reveal the intricate mechanics underneath. The manually wound caliber RL1967 runs at a frequency of 18,000 vibrations per hour and has a 45-hour power reserve, a unique indicator evocative of a fuel gauge. At 12 o’clock is a matte black galvanized azuré subdial with the RL logo. At six o’clock is a decentralized seconds subdial with white Arabic numerals and an azurage pattern. Hours and minutes are indicated by black oxidized sword-shaped hands, which are coated with a beige Super-LumiNova treatment for increased low-light visibility. 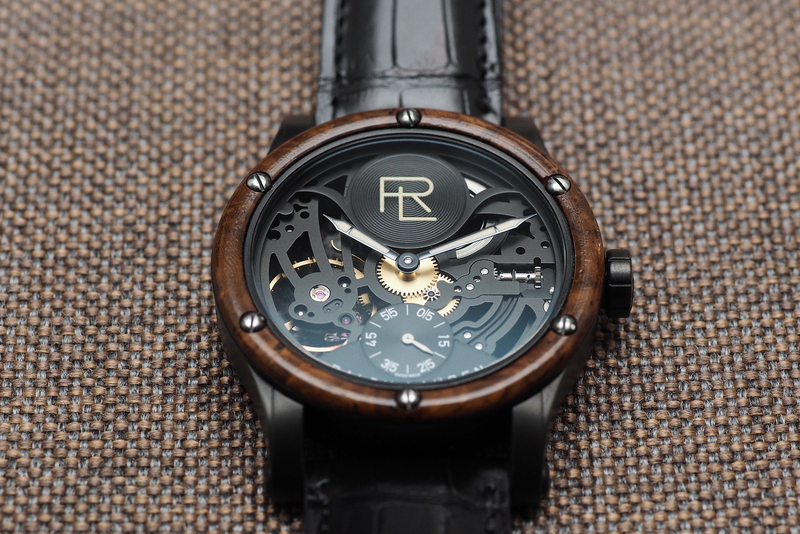 Crafted in black gunmetal steel, the RL Automotive Skeleton’s shot-blasted case has a satiny matte finish. The bezel of the watch is crafted out of amboyna burl, a noble hardwood that must be hand-cut and finished by an expert craftsman to reveal the intricate patterns and depth of color in its rich, twisted grain. Finally, the “bombé”-shaped bezel is hand-set with six functioning screws. 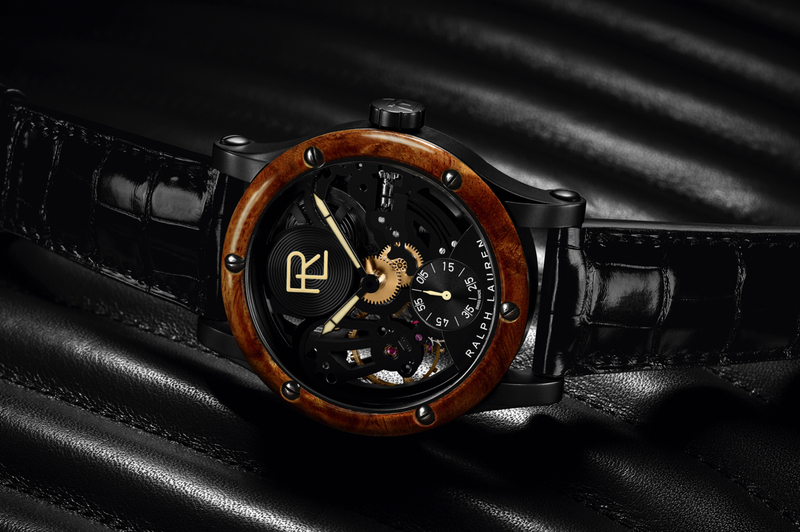 The 45 mm RL Automotive timepiece shares a similar design philosophy, featuring an amboyna burl wood bezel and black gunmetal steel case. 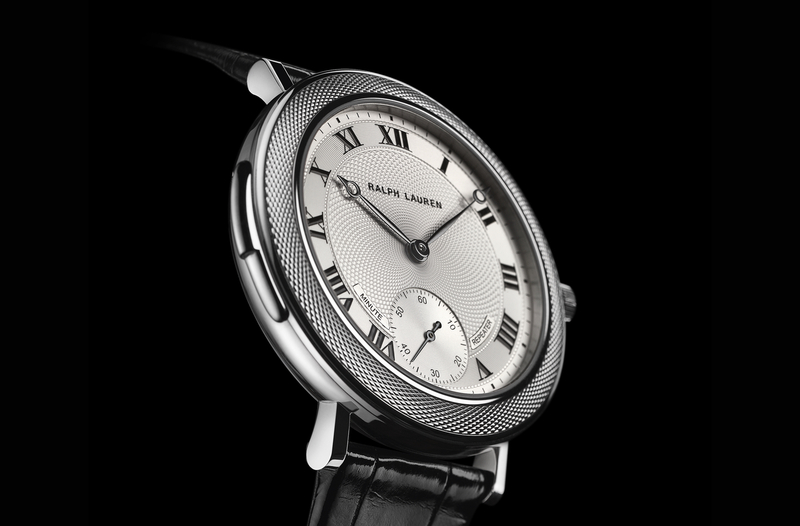 The caliber RL98295, a hand-wound mechanical movement made for Ralph Lauren by IWC, is visible through a smoky sapphire crystal caseback. Completing the collection are three stainless steel models with hand-selected elm burl wood dial décor: the Automotive Chronograph, featuring a manufacture movement made by Jaeger-LeCoultre for Ralph Lauren, and the COSC-certified Ralph Lauren Automotive Chronometer, available in two sizes (45mm and 39mm). The Automotive collection masterfully bridges the automotive and horological worlds and captures Ralph Lauren’s love of fine watchmaking and items made by hand. Ralph Lauren Automotive timepieces will be available for purchase at select Ralph Lauren boutiques in October.